Dance is the one universal language that exists: You will always see something that the artist is trying to portray; you will always feel something at the end of a show, because the dancers have given you a piece of who they are. Dance has allowed me to express myself in a way that words never could, it also has allowed me to find an inner confidence that I’m not sure I would have found on my own. But there’s a special moment that happens.. it’s that moment that happens when you are confident, and so sure of yourself, that everything feels so right. It’s that moment where it’s just you and the music, baring it all. That moment, where it’s so unbelievably spot on: we call that savage fierceness. And savage fierceness is what Ferocity Dance Company is all about. Whether you want to dance for fun, or you want to perform for an audience, or better yet: yourself; Dance will allow you to become the best version of yourself. It's a fun, and challenging hobby that can bring you a sense of joy you may never have expected! The Ferocity Dance Company does not turn dancers away from our performance teams because of inability to pay. Everyone goes through hard times and it is our pleasure to give a gift of dance for as long as someone may need it. We keep their information private, and try to make their time as enjoyable and stress free as it can be. If you would like to donate money to help us cover studio and team costs, you may send us an e-mail to: kat@ferocitydance.com - you may also visit our Sponsorship page for more information. 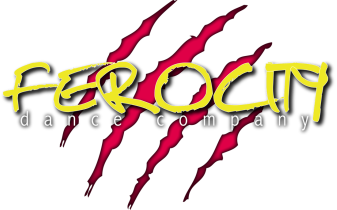 The Ferocity Dance Company has an Amateur Bachata Competition Team that travels Nationally and Internationally to compete. We've been blessed to have been able to compete at Euroson Latino and the World Latin Dance Cup. At Ferocity, whomever wants to be family, can be. It's that simple. We have various performance teams that do different styles of bachata. These teams perform locally and Nationally at different events and Congresses. Founded in Atlanta, Georgia, Corpo Lindo is a chic athletic & dance wear line, where movement meets fashion. Created to support the feminine physique, our garments are produced by an all female collective in Colombia ensuring quality and comfort to women of all sizes. They specialize in bodysuits, dresses and leggings. GoOutDancing.com is a website dedicated to bringing all things related to dancing such as dance socials, festivals, schools, artists, and vendors. Inspired by a strong desire to bring the local dance communities together, the mission for Go Out Dancing is to become a platform where you can find all kinds of dance socials, classes/workshops, festivals, dance schools/studios, vendors, and artists.